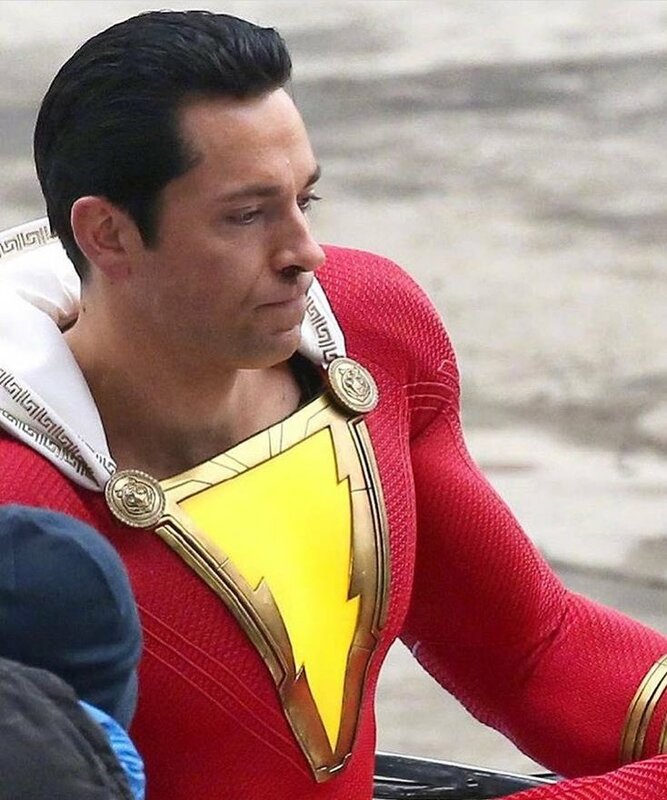 We've had a Black Adam for quite a while, now we finally have a Captain Marvel in Zachary Levi. Sounds interesting, though it's weird that it's being put out by New Line instead of WB and is an entirely separate film than the Black Adam feature with the Rock that's been in development forever. 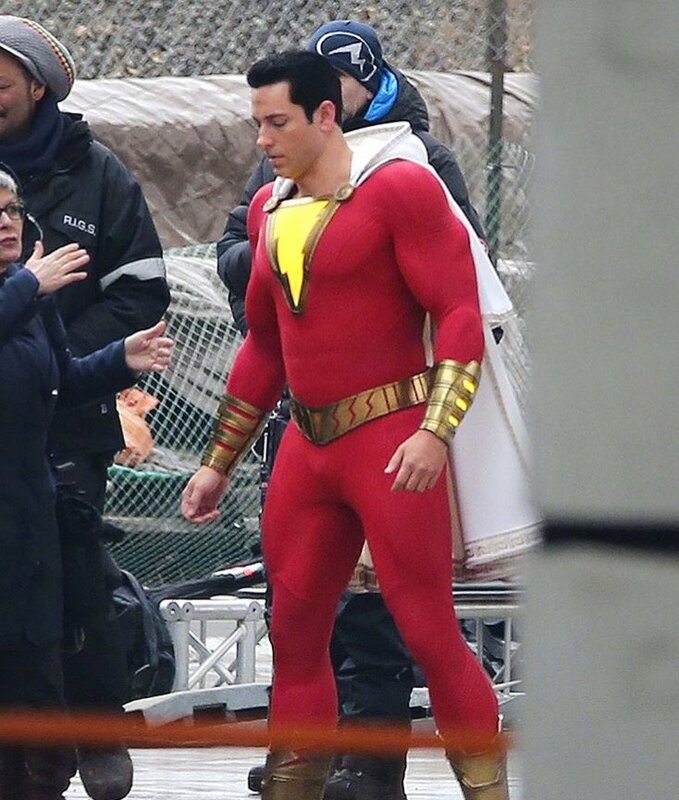 I'm keeping tabs on this film ... looks promising and he does look a bit like Captain Marvel here. Seriously, does anyone at DC/Warners have any idea what they're doing? It's a pretty weird thing, though it could just be that the Black Adam feature that's been in development hell forever is abandoned and the writers are just assuming it's being developed concurrently. Call me skeptical on this one. DC has struggled with Captain Marvel since acquiring the character, in the early 70s, and I have no faith that Hollywood understands him any better (especially the WB folks). I will lay odds that the project is at New Line because WB doesn't have enough faith in it to mix it with the other films and shifted it off to a lower profile side of the company, while they keep the WB name for the same old, better known characters. Whether that turns out to be a plus or a minus remains to be seen. I would love to have a great Captain Marvel film, but it really needs to be all ages, embrace the fantasy world, and just let it be fun. Dark doesn't work with this character. If they had gotten their act together back when they first announced this thing, Patrick Warburton would have been perfect for the Big Red Cheese. I would like to be pleasantly surprised by this. It will be interesting to see his physical transformation for the role...he is a bit on the skinny side (at least the last time I saw him on tv he was). I would have cast Derek Theler. 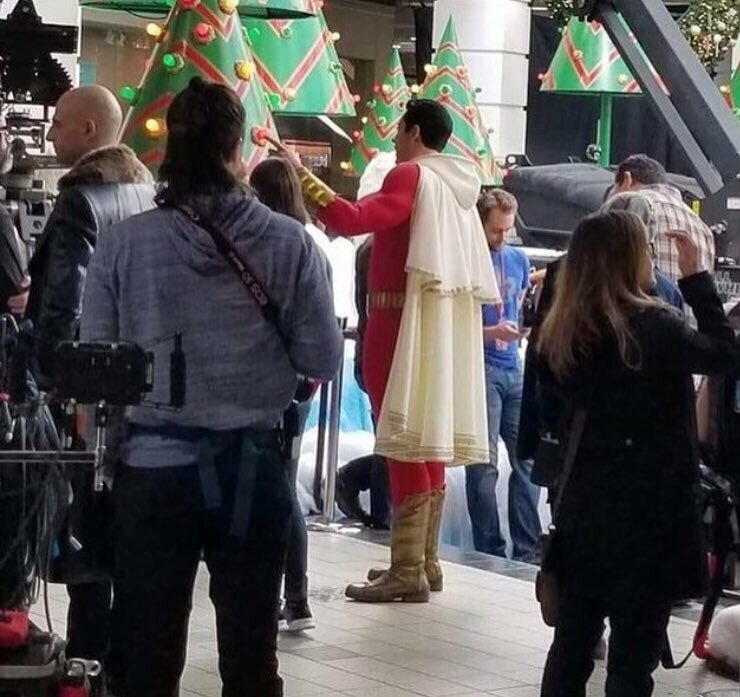 Shazam is coming to theaters and while don't know a whole lot yet I have to say they have the look right at the very least! I think my favorite element is the Tiger clasps, hopefully that means Talky-Tawny will be in the picture at some point. Thanks for posting this. Pretty decent costume. Although the lightning bolt looks a little wonky IMO. Depending on how it looks in action it may be my favorite on screen costume since Captain America's. I'm kinda curious about the tiger heads on the brass buttons attaching the cape. Wonder if that will have some tie-in to Tawky Tawny (in a highly modified form)? Or is that related to some recent era, failed revamp that I wisely ignored? So, I haven't really been paying attention to this, other than seeing the occasional headline that a Shazam movie is in the pipeline, or that characters like Black Adam and Capt. 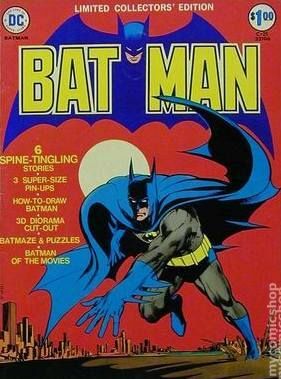 Marvel had been cast, but my question is: does anyone know if this one is going to be all deadly serious like all of the other DC movies, or more light-hearted and kid-friendly, like most of the actual comics on which it's based? Seeing that brightly colored costume gives me a bit of hope that it will be. And yes, I'd love appearances by Talky Tawny and Mr. Mind. From what I've heard it's supposed to be much lighter in tone, which is fitting. Levi was an interesting choice and the pics of him so far seem good. But I'm still not sold on the Nu52 costume. Here it looks decent but I don't like the hood on the cape.